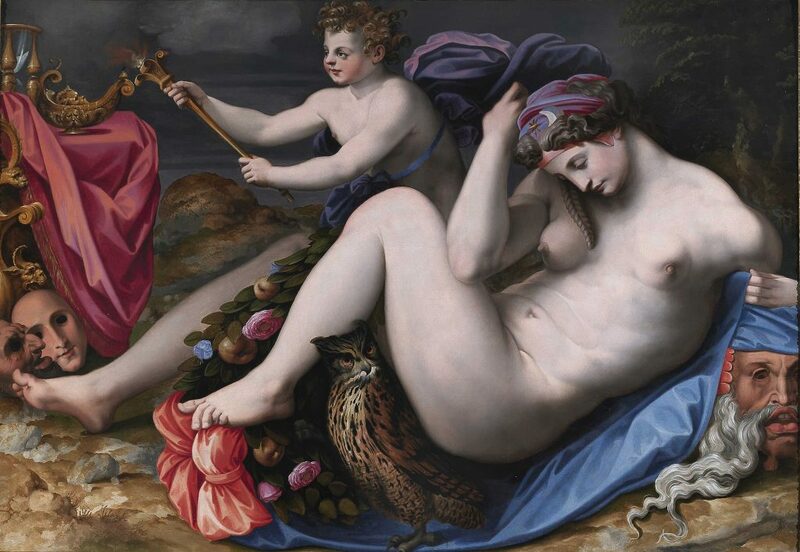 This fall brings interesting exhibition and art pairings to Florence, from the Palazzo Strozzi, Piazza Signoria and Gallerie degli Uffizi inaugurating new exhibits together with the opening of the International Biennial Antiques Fair in Palazzo Corsini. The exhibitions range from antique furnishings and decor to masterpieces from the 1500 -1600’s to royal portraits to contemporary art in a historic setting. It is an intriguing concept: Florence is repeating history. Once the playground for both traditional and classical artists as well as those on the cutting edge of expression. This fall it will be entertaining greats like Mino da Fiesole, Michelangelo, Anton Raphael Mengs and Urs Fischer all at the same time. 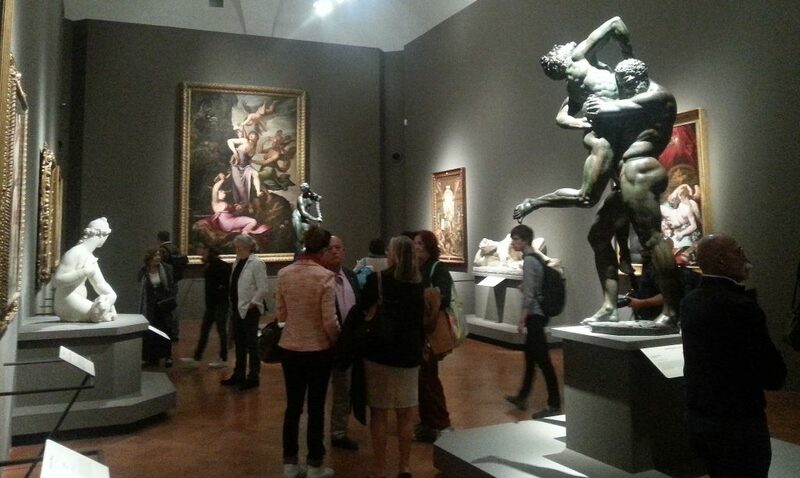 Four beautiful locations in Florence and many “Fuori Mostra” (places indirectly connected to the exhibitions) have geared up for weeks and months of “modernity with elegance”. Once every two years Florence, and more precisely the 17th century Palazzo Corsini, hosts an antique show of epic proportions. There will be 9 days of wandering through international “museum-quality” collections of furnishings, home decor, sculptures and paintings. Mario and Giuseppe Bellini launched what is now Italy’s most important antiques fair in 1959, using Florence as the venue – and nothing could have been more appropriate since this is the home of Stefano Bardini (Museum Bardini) and Elia Volpi (Palazzo Davanzati) both noted antique collectors. Following a theme which seems to permeate much of Florence’s approach towards art in this period – and for the first time ever in its 30 years – the fair will include contemporary art from as recent as the 1980’s. They are also acting as a co-protagonist in Florence’s more recent effort to prominently feature modern art in open spaces – thus challenging the public to expand their concept of art. See Urs Fischer below. A historical palazzo, 8 rooms divided into 7 themes, 17 works of art restored to their original glory, 29 off-site exhibit points, 41 artists spanning a little over 90 years from 1520 to the 1590’s, 75 pieces of art, and countless events tied to the exhibit including seminars, multimedia stations, and activities for kids, young adults, families and Alzheimer sufferers together with their caregivers. This is not just a display of colors, styles and techniques – it is intended to be so much more. The hope is to foster the development of a “spirito nuovo” (a new enthusiasm) for visiting this show and others in the future; the curators expressed their intention to accent the “humanity of the art and the artists”. In addition to the exhibition within the four walls of Palazzo Strozzi, several “Fuori Mostra” (off-site exhibition areas) have been identified which feature works that directly complement the subject, “the 1500’s in Florence”. See site for more information. Curiously, this collection is the perfect companion to the another grand opening this September. Mannerism and Counter-Reformation (the genre of art on display) would have been considered a “contemporary art form” for those in the late 1500’s, much like Urs Fischer’s work, prominently positioned in Piazza Signoria, is considered contemporary for today’s public. 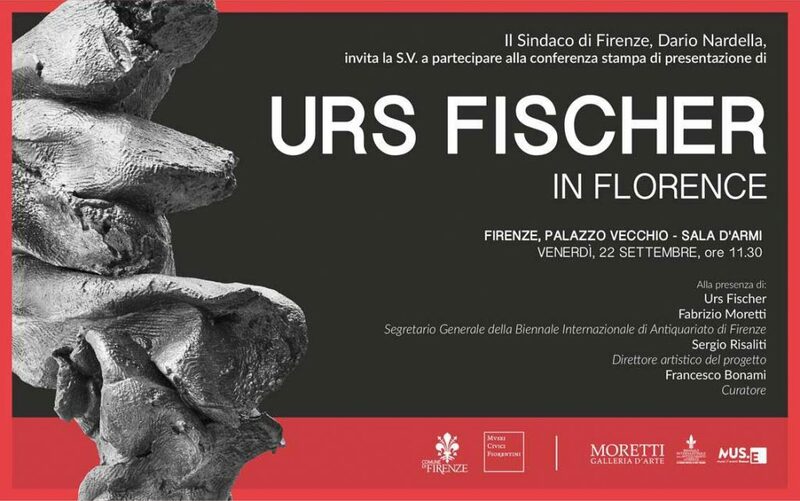 Organized in conjunction with the International Biennial Antiques Fair in Florence, this exhibition consists of “the presentation of a monumental work within that of an extraordinary open-air sculpture museum: Piazza Signoria”. The objective: provoke a contrast between ancient and contemporary. And thus far, first with installation by Jeffrey Koons (2015), followed by Jan Fabre (2016) and now Urs Fischer, it has proved to be “provoking”. The Sala delle Nicchie focuses on small yet intriguing exhibitions, such as Anton Raphael Mengs and the newest acquisition by the Gallerie degli Uffizi from this artist. 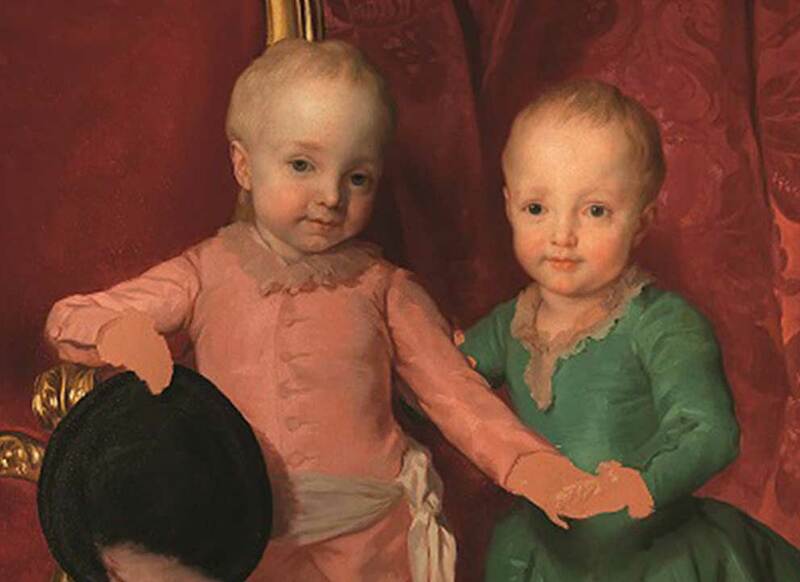 The protagonist of the exhibition is a painting featuring Ferdinand and Maria Anna, two of children of Pietro Leopoldo of Lorena, Archduke of Austria and Tuscany and of Maria Luisa of Bourbon, dressed in contemporary dress and taken in an interior of Palazzo Pitti. The exhibit in Italian is called “I nipoti del Re di Spagna”, as a heads up on what you’ll see in posters across the city. On display are other portraits executed by the artists as well as an self portrait restored in this occasion.